Hypoglycemia treatment is important to brain and memory health.Hypoglycemia occurs when a person has an unusually low level of blood sugar. Blood sugar is your body's foremost energy source. Hypoglycemia isn't a disease but a red flag that there is something wrong with a person's health. Hypoglycemia can be brought on by, for example, a fever or excessive exercising or missing meals. It is frequently found in conjunction with diabetes. When an individual's blood sugar is below 70 mg/dl this is low and can be dangerous. Hypoglycemia treatment entails getting the blood sugar back into the standard range. This is achieved via medications or by eating foods that contain high-sugar content. Effective and aggressive treatment of hypoglycemia is necessary to keep it under control. Your physical must identify what is causing it. Symptoms of this condition, according to the Mayo Clinic, includeconfusion as well as irregular behavior or both. These symptoms occur because your brain is not getting enough sugar, which the brain requires in ready supply. The brain is incapable of manufacturing or storing its own energy supply. Other symptoms include visual disturbances - including blurred and double vision -heart palpitations, anxiety, tremors,sweating, and hunger. Crabby, antagonistic behavior can also be a symptom of hypoglycemia. In a worst-case scenario, seizures can result, although this isn't common, and/or loss of consciousness. The University of Maryland Medical Center advises that hypoglycemia treatment may involve taking oral forms of glucose of being ingested. If your blood sugar has dropped because you have been exercising or have missed meals, drink a glass of orange juice and eat a piece of bread, and this should raise your blood sugar levels almost immediately. When your blood-sugar level drops this causes your body to releaseadrenaline, which prompts feelings of nervousness, anxiety, rapid heartbeat, nausea, tingling, sweating, hunger and trembling. During this process, your brain is deprived of glucose, and this makes you confused and disoriented. 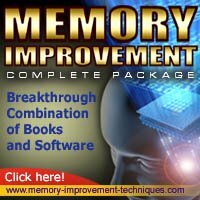 You cannot concentrate and you probably aren't going to remember what you need to remember or what you've been told to do because your brain isn't functioning optimally. The only way to ensure that you can maintain attentiveness and good memory is to prevent your blood sugar levels from dropping. If you suspect that you are experiencing hypoglycemia you must seek medical attention promptly it. If left untreated, this condition can lead to brain damage that is irreversible, coma and potentially even death. Make an immediate appointment with your physician. Reactive Hypoglycemia: Does It Affect Memory?